(NEW YORK, NY) — Genius strikes in New York City. 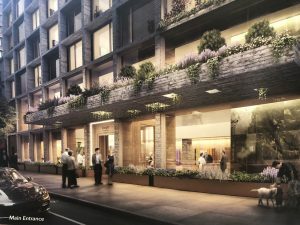 Mapplewood Senior Living and Omega Healthcare Investors, Inc. are developing one of the first ground-up senior living communities in over a decade in Manhattan—Inspīr Carnegie Hill. This out-of-the-box concept will introduce a new demographic to the city’s luxury market. The property, located on the Upper East Side at 1802 Second Avenue, will be equipped with an easily accessible common space, restaurant, and bar on the first floor. 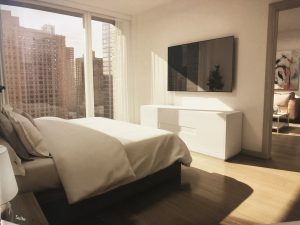 This first-floor concept brings residents to the streets of Manhattan, which according to Brian Geyser, the Chief Clinical Officer of Inspīr, is the reason why it was not rented out as commercial space. But there’s more to the development, which will give families the opportunity to keep loved ones in New York City. Features like a 24-hour nursing staff paired with cutting-edge technology will allow around-the-clock care. Developers have teamed up with big-name companies to create applications that will monitor the health status of each resident and immediately alert staff of irregularities. Partnerships with local medical centers will allow for quick and virtually effortless transitions between doctor appointments and home. The in-house nursing staff will also give residents the option to receiving medical attention in the comfort of their own home, something that is often out of the question for those with severe health complications. 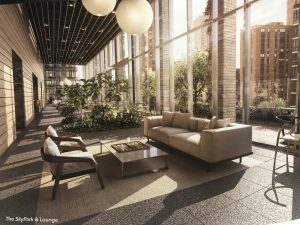 New York City is a dynamic environment regardless of age and Inspīr Carnegie Hill will give senior residents the chance to enjoy luxury living without having to move out of the metropolitan area. Luxury was to the fore when Inspīr was designed. 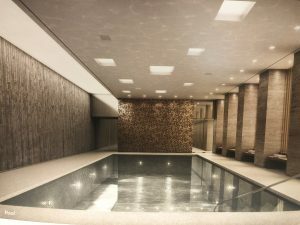 The 23-story, 212,000 square-foot building boasts floor-to-ceiling windows, a 17th floor skypark and lounge, open-air terraces, enclosed gardens, jaw-dropping views of the East River, a salon and spa, fitness center, and pool. Residents will be able to enjoy farm-to-table dining, social events, and concierge services. The Leasing Gallery for Inspīr Carnegie Hill is open and located at 1450 Lexington Avenue, New York, NY 10128.